Maybe I’m not the best person to give advice about money and marriage. Maybe it’s been too easy for me. After all, in 26 years of marriage, we haven’t argued much, especially about money, and we’ve never gotten into money trouble. Then again, maybe that’s because we’ve done a few things the right way. This post will explain some things that have worked for us. Look at any list of things that married couples tend to argue about, and you’ll find money at or near the top of the list. It doesn’t have to be that way. My wife and I have certainly had our opportunities. We first set up a household together in the mid-1980s with very limited means, and have since been through buying two houses, raising two kids, and a major career change. Plenty of opportunities to argue about money, but we’ve always dealt with finances as an issue with the outside world, rather than a source of conflict between the two of us. Now, arguing isn’t necessarily bad. It is, after all, a form of communication, and it gets deeply-held issues on the table. So, arguing can be better than keeping your thoughts and feelings buried, but an argument also tends to heighten emotions to a point that is not conducive to cooperation or logical decision-making. The alternative is to make sure you start talking about money before conflicts arise. Part of this has to do with practical issues, but it should start with more of a philosophical discussion about money. After all, the way you handle your responsibilities and the extent to which you covet material things are part of who you are. Discussing that aspect of yourselves should be part of how a couple gets to know each other better as the relationship gets serious. If it gets to the point of setting up a household together, then a more practical discussion should follow. 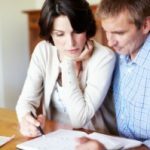 The following are some suggestions of financial subjects every couple should talk about, starting with some of those more broader, philosophical issues, and continuing on to the practical ones. A shared philosophy about money? What have your experiences with money been? 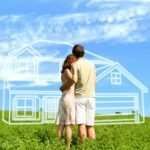 Early on, my wife and I discovered that we had been through some similar experiences with money, and we both had decided that it was better to live simply than to extend yourselves to the point of risking a major setback. What do you really want? There’s nothing wrong with wanting some material things, but you need to establish whether you are the type of people who know what will make them content, or will always strive for more. How hard are you willing to work? Of course, wanting things and earning them are often two different things. If you are going to share your life with someone, you need to know how much of a role work is going to play in those lives. How do you feel about debt? Debt tears couples apart because it can let them create an initial illusion they can’t sustain. My wife and I always knew we’d be happier doing without rather than getting in over our heads. If you find you share essential values about money with the person you are dating, the details about finances tend to fall into place rather easily. On the other hand, if you find you have radically different ideas about money, it may be a warning sign not to take the relationship too far. Allocate responsibilities. There are specific financial jobs such as paying the bills, managing the regular shopping budget, and long-term financial planning. Decide who will take the lead for each task, so nothing slips through the cracks. Establish what’s yours, mine, and ours. We’ve found you don’t have to share everything. Things can work more smoothly if you each have separate bank accounts for short-term spending, while pooling the long-term savings. Talk about finances regularly – even when there isn’t an issue. Arguments tend to arise when there is an unpleasant surprise, so keep each other informed about your financial situation even when there isn’t a problem. That way you’ll both see how things are developing, and possibly deal with problems more effectively by addressing them sooner. Again, I may not be the best person to talk about how financial arguments, because I’ve had an exceptionally happy marriage. Then again, maybe one of the reasons we’ve been so happy for more than a quarter century is that we’ve dealt with the subject of money in a constructive way. Savers vs. Spenders: Opposites Attract? When Do You Stop Being a Beginner? I think people with different financial backgrounds can certainly make a relationship work. The key is to communicate so you understand each other’s backgrounds. In the end, what matters most is not what happened in the past, but what you will do going forward, so the goal of discussing your backgrounds should be to see if you can arrive at compatible philosophies about how you want to manage your finances. The differences in your background will make a HUGE difference at the beginning, but as you grow your relationship and you BOTH learn to compromise, it won’t make a bit of difference. I came from a very wealthy family (altho you’d never know it). Spouse came from a very poor family (even tho they “looked” wealthier than mine). Over the past several decades we both learned something from the other and made it work for us. You’ll do the same – assuming you actually did marry the love of your life (and I suspect you did). You’ll be fine – just talk and want the best for each other. I think the money talk is one of the wisest discussions a couple can have prior to getting hitched. Clear financial goals, and a budget are the most important things to me. @Christian- I’d say it depends on the people, and compromise is key. If you have a saver and a spender together, each is going to have to give something to solidify that financial relationship. If one or both people aren’t willing to understand and defuse those tensions it’s not going to work- just like any other problem with a couple. In your opinion, can couples with different financial backgrounds stay together? Or will their differences be too big a disparity to overcome?